First time candidate Liam Dumpleton is running as an Independent in Laois Offaly. 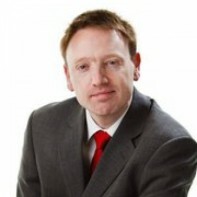 He is currently the deputy news editor on Midlands 103 Radio. Dumpleton is a fan of Newcastle United F.C. What about policies? I really don’t care if he supports Newcastle or not (feck sake, some information on his policies would be interesting), but no vote from me, simply becuase I have never heard from him before, and I don’t know him from Adam.